Click here to study the Halacha of the month. The Edward S. Kraus Center for Learning and Reflection is a wonderfully inviting space for you to enjoy. The Center features a great space conducive to classes, seating for reading and socializing a fully stocked Jewish book and multimedia lending library and more. Come inside! Grab a coffee and a book, meet a friend or attend one of the many classes held here. You’ll love it. Click here to access the full searchable catalog of our books. To borrow a book, just visit during library hours and follow the instructions posted near the computer. Note: If this is the first time using our library system, please contact Rabbi Horowitz so that he can create a user account for you. Want a tour of our library? Contact Rabbi Horowitz here and he will be happy to give you an in-depth look at our collections and/or recommend a book. 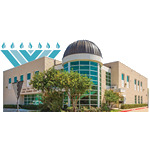 From time to time the library will host events such as book clubs, children’s story time and jewish poetry readings. Contact us if you would like to be informed of such events. Look out for our Library blog where we will highlight and review a new book every month.